The KRT2 VHF-AM transceiver has a full graphic LC-display that allows for easy reading under all light conditions, including full sun. 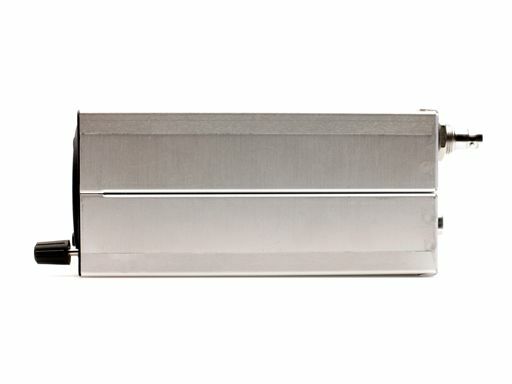 The display illumination can be dimmed or turned off. 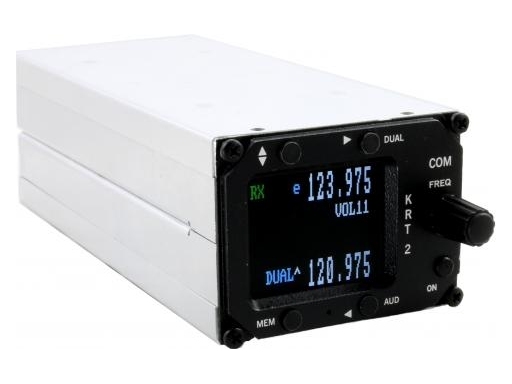 The KRT2 is designed for 8.33 kHz and 25kHz channel spacing that will become the new international standard for airborne communication. Switching between the 8.33 and the 25 kHz mode is effortlessly simple. Standard or dynamic microphones can be used. A built-in-test facility increases flight safety. The dual watch mode that allows scanning of two different channels is included. The KRT2, with its integrated VOX/Intercom circuit, allows communication between pilot and co-pilot. We do not recommend adapters for connecting, since it could lead to power loss !!! With the simple "solder plug kit" saves you money and there are only 8 pins to solder, a simple and clean solution!